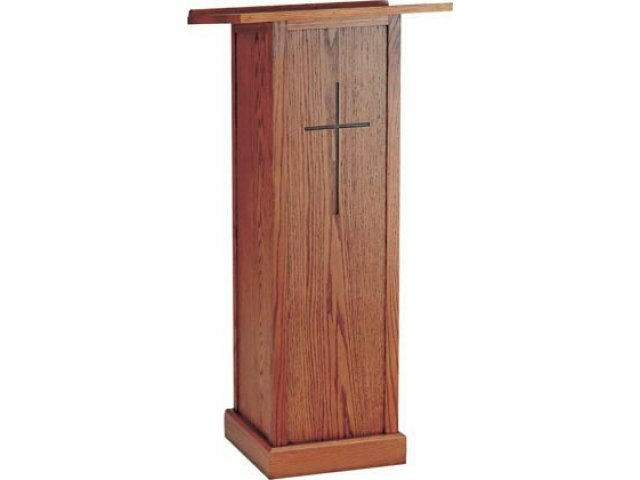 This lectern is designed to be the focal point of your church sanctuary and help your speaker give a powerful and uplifting talk to your congregants. The engraved sign of the cross is on a wood panel that may be reversed when appropriate. 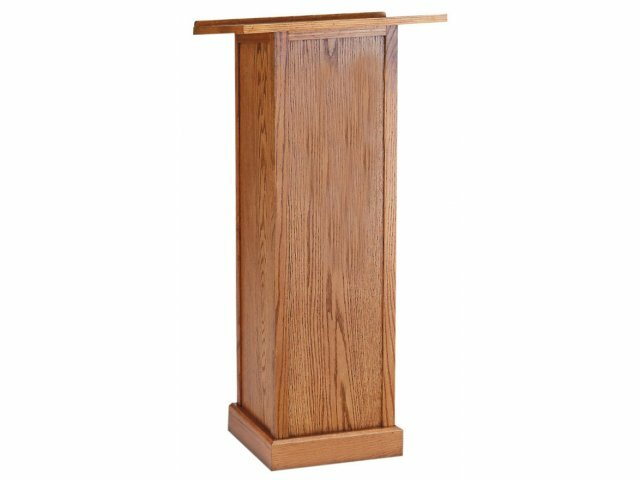 The stained oak finish makes this lectern look solid and dignified. Yet its industrial-grade particleboard construction will help your church save money. 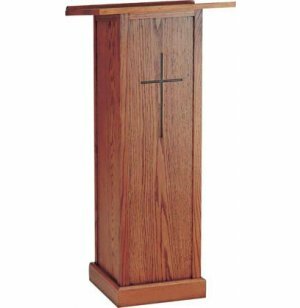 With a wide reading surface, raised book stop, and convenient shelf, this full-length lectern works well with any interior church design. Adaptable: Front panel can be installed to display or hide cross. Durable and Dignified: Base, front panel and trim are constructed from solid oak. Bookrest and panels are particleboard covered in red-oak veneer. Practical: Bookrest prevents papers from sliding off. Internal shelf holds books or other needed items. 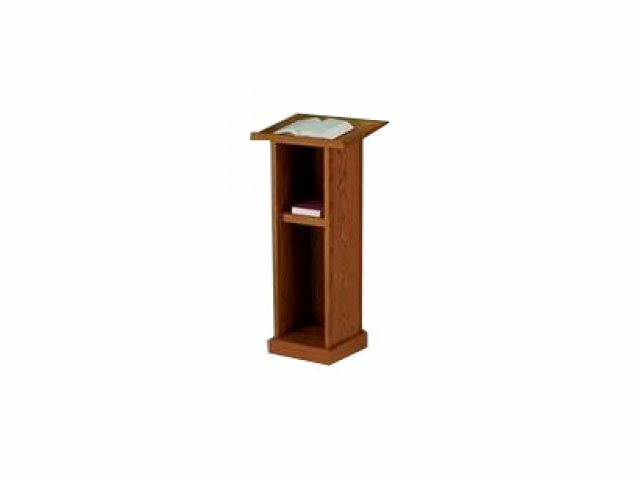 Great Size: Lectern is full-height. Reading surface is 20" wide and 16" deep. Attractive: Available in a variety of deep wood finishes. Stable: Base measures 13"x 13"